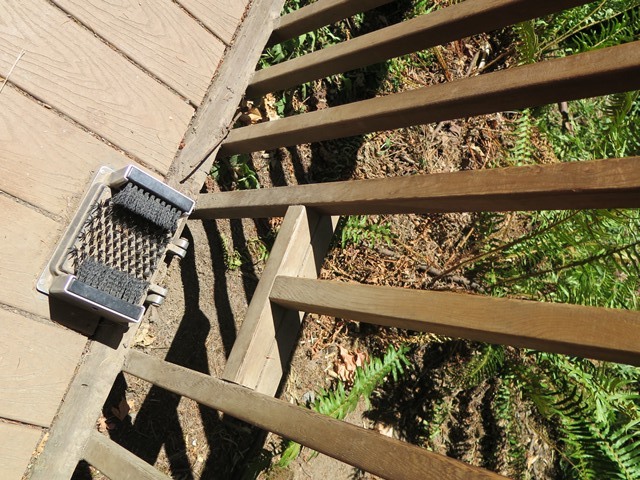 Alien Invaders at Tryon Creek! Hold on a second. There are aliens at Tryon Creek State Natural Area??? You bet. They’re probably not the kind that first come to mind. When you think of aliens, you probably imagine little green spacemen from some extraterrestrial planet. Ask me what I see when I think of aliens, and I’ll tell you all about the non-native plants and animals we have at Tryon Creek. An alien, or non-native, species is defined as originating from somewhere and being introduced into a new location. Some of these non-native species take to their new environment very easily, and spread, pushing out the native species and causing damage to the ecosystem. These are known as invasive. The main reason why invasives are so successful in their new environment is because they don’t have any natural predators or diseases to keep them under control. What are some of these alien species? English ivy (Hedera helix) is one such alien plant. Originally brought over to the United States, Europe and western Asia as an ornamental plant, this viny shrub climbs up trees and competes for sunlight. It can kill the tree its growing on by either depriving it of sunlight or the excessive weight of the ivy can significantly weaken the tree, making it vulnerable to windstorms. English ivy is one of the most aggressive invasives at Tryon Creek. Another invasive plant at Tryon Creek is Himalayan blackberry (Rubus discolor or Rubus armeniacus). 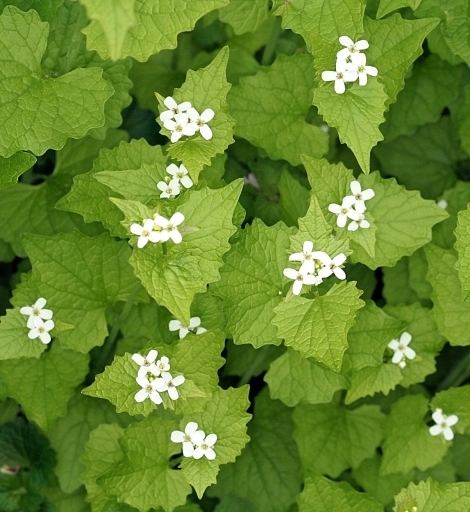 It grows dense, thorny “canes” with compound leaves in clusters of 5 oval-shaped leaflets with thorns on the underside. 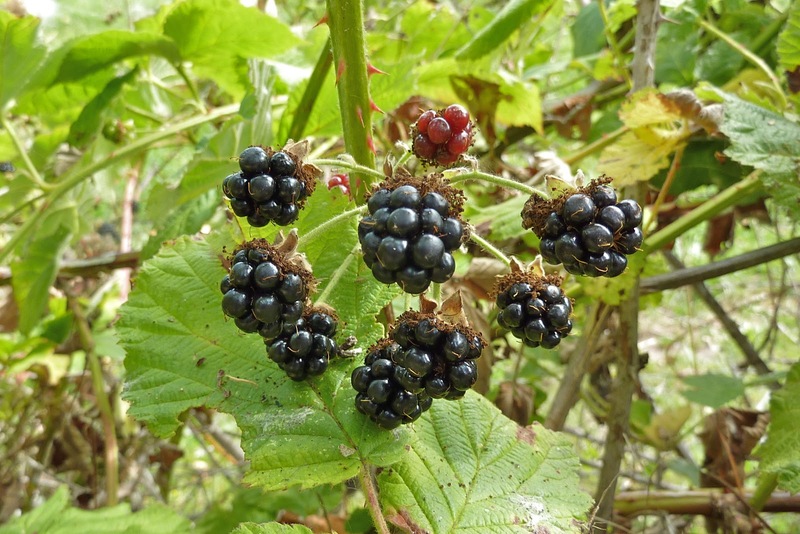 Himalayan blackberry has become an invasive species in most of the temperate world because it is so hard to contain. Its seeds are easily spread by birds and other animals. Rubus discolor produces edible berries, which ripen in July and August. Despite being invasive, it is a favorite among berry pickers of the Northwest. 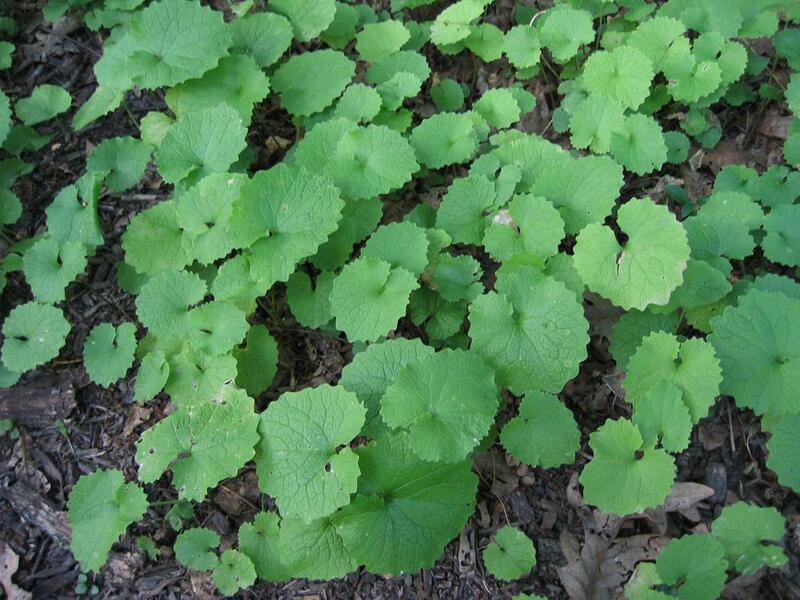 Garlic mustard (Alliaria petiolata or Alliaria officinalis) is a third invasive plant at Tryon Creek. It is native to Europe, western and central Asia, and northwestern Africa. The young plants look very different than the mature ones. In the first year of its growth, the leaves are large, heart-shaped, and smell like garlic when crushed. The next year the plants flower in spring, producing clusters of cross-shaped white flowers. As the flowering stems bloom they elongate into a spike-like shape. When blooming is complete, plants produce upright fruits that release their seeds in mid-summer. How do we keep these aliens out? Good thing you asked! These aliens are going to keep invading Tryon Creek (and everywhere that they can, for that matter) if we don’t step up and control them. The best way to keep invasives out of an area is preventing them from getting there in the first place. This would mean checking your shoes, clothing, car, and pets for hitchhiking seeds. Also, a common problem is when unwanted pets like turtles, crayfish, or rabbits are released in a park. It’s generally a bad idea to do this because these can cause problems for the native species living there. For example, red-eared sliders are an introduced species of turtle, and have pushed the native Western painted turtle out of its habitat. If invasive species have spread to an area, there are four main methods of controlling them. The first is ecological control, which means using natural elements like controlled burns or flooding to take care of the problem. The second option is mechanical, or manual labor. Our Stewardship Saturdays are a great example of this type of invasive control. Third is biological control, although this one can be a bit risky. Biological control is when another species, specifically a known predator of the invasive species, is introduced to control the original invasive. This can be a problem because sometimes it backfires and then there are two invasive species in the area. An example of this would be when Species A is introduced to control Species B but instead ends up targeting native Species C. Chemical control (herbicides, pesticides, insecticides) is used as a last resort when none of the above options are effective. It is a tool used to control invasives, but should be used with caution. If you are using chemicals on invasives, make sure to read all directions carefully before application and avoid using them on windy days. There are several things you can do to help prevent the spread of invasives. Every Saturday you can join us at the Nature Center at 9:00am to volunteer for 3 hours pulling invasive ivy in the park. Currently, there are over 150 acres of park cleared of ivy; that’s over one third of the whole park! If that’s too much of a commitment, there are other ways to help out. By simply spreading the word about invasive species, you can raise public awareness and slow the accidental spread of non-native species. 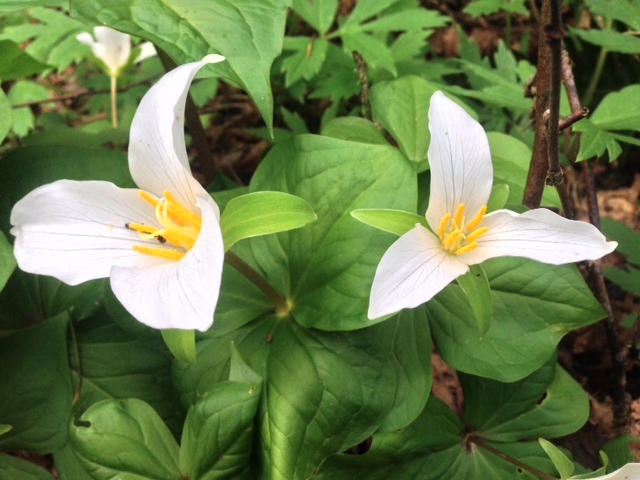 In addition, check your clothing and shoes if you’ve gone hiking to avoid spreading invasive plant seeds. 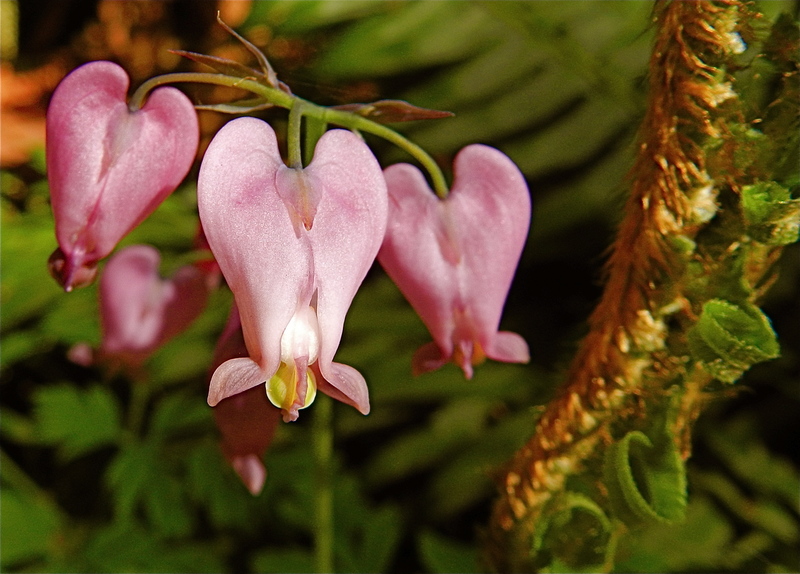 For your own backyard, if you have a garden, try planting natives like blue columbine (Aquilegia caerulea), Pacific bleeding heart (Dicentra formosa), Oregon grape (Mahonia nervosa or Mahonia aquifolium), and wild rose (Rosa gymnocarpa). There are benefits to having a biologically diverse yard. These types of plants will attract pollinators like honeybees and butterflies. Healthy, balanced ecosystems also clean the air and water.